Home remodeling in order to sell is different from remodeling to improve your quality of life. Some renovations might be more enjoyable for the new owner, but there are also renovations that can improve a home’s value for the current owner, helping you out in this competitive market. The best areas to invest in are the kitchen and the bathroom. These are the improvements most likely to gain the value and attract buyers. The kitchen and the bathroom are the most important parts of the house, as it’s where we spend much of our home lives. If you opt for any kind of expensive rip-and-replace work within the kitchen or bathroom, counter tops should be the focus, as they are highly visible. Worn laminate countertops can be replaced with higher quality laminate or solid surface materials. Ceramic tile countertops are debatable in terms of quality and value; home buyers tend not to place them in high regard. Quartz countertops, as well as natural stone, are considered to be premium surface materials. Kitchen and bathroom cabinets are also highly visible because they are at eye level. Replacing kitchen cabinets may let allow for profit you hope to realize from the sale. If your kitchen cabinets are in terrible condition, you have little choice but to install new cabinets. For cabinets that are in good structural shape, the better option that will return more value is to paint your cabinets or reface them. New cabinet fixtures and hardware are surprisingly effective kitchen and bathroom upgrades, although not cheap, new fixtures and hardware are an easy do-it-yourself project that you can take on, even if you are in a time crunch. When you hire a remodeling contractor or tradesperson, you spend money on materials and labor. Taking on home remodel projects yourself means cutting out the labor piece of that cost. However, keep in mind if you expect to put your house on the market in less than one year, taking on new do-it-yourself projects may be overwhelming and take time away from other things, or worse, not being able to complete projects in time to put the home on the market. Usually, the fewer materials you hand over to the next homeowner, the better. Instead of replacing your existing hardwood, consider refurbishing your home’s hardwood by sanding and finishing it. Instead of giving the buyer all-new windows, look into the possibility of replacing only the window sash. Rather than giving the next homeowner a new bathtub, consider refinishing your current tub. Materials always cost more than fixes. Invest on paint or flooring rather than appliances, as long as they are safe and functional. New paint, especially well-chosen contemporary hues, will transform a house. Be careful of deep shades that darken the home. Cheerful, brighter colors reflect more ambient light, and this is especially important in small bedrooms. 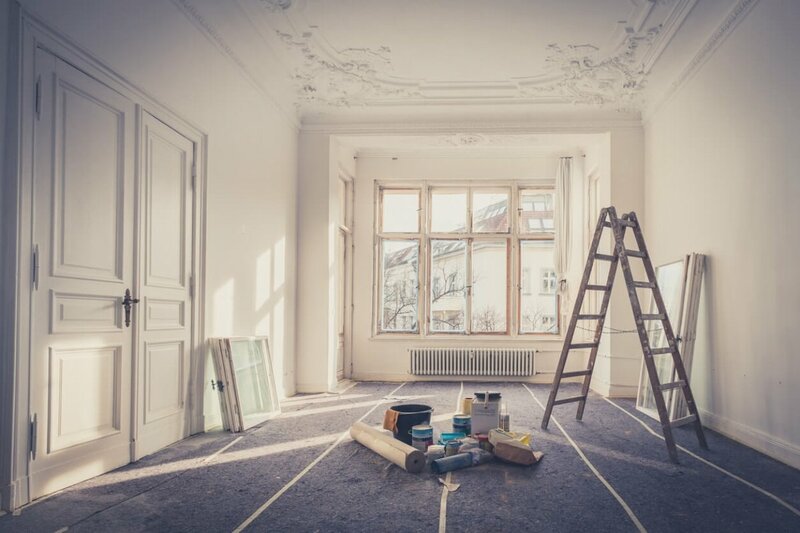 Since renovations are meant to improve your home, make sure that a poorly-done project won’t further harm your home and cost your money. As you work to develop your home for the next owner, protect your investment with Homeowners Insurance.